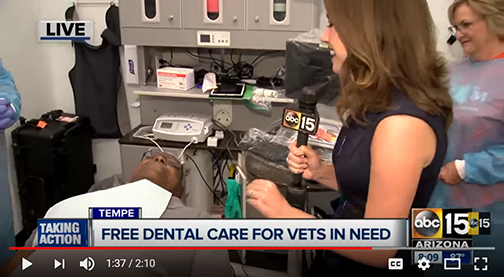 The Rio Salado Dental Hygiene Clinic joined forces with the Central Arizona Dental Society Foundation (CADSF) to host a free dental clinic for veterans in need on Sat., July 14. 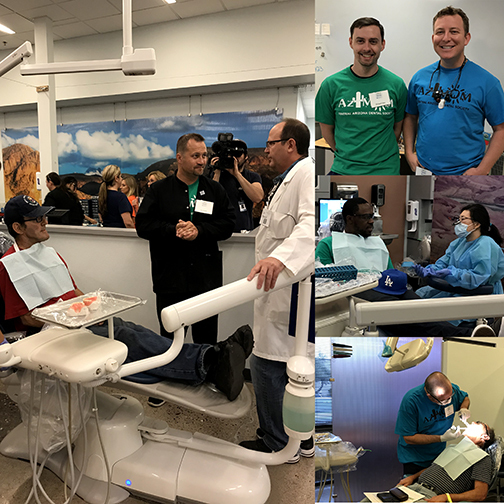 The Rio Salado team was joined by volunteer dentists, lab technicians and assistants, who provided free care to more than 50 veterans who were not able to receive services at other community events hosted by CADSF throughout the year. The top priority was relieving pain and infection. 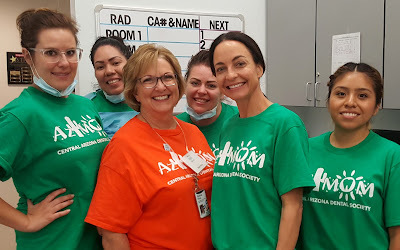 Volunteers were also on duty to provide exams, x-rays, some basic lab work, cleanings, fluoride treatments, fillings and extractions, simple root canals and denture services. Among the air force veterans served was John Hulett, who was getting help with new dentures. 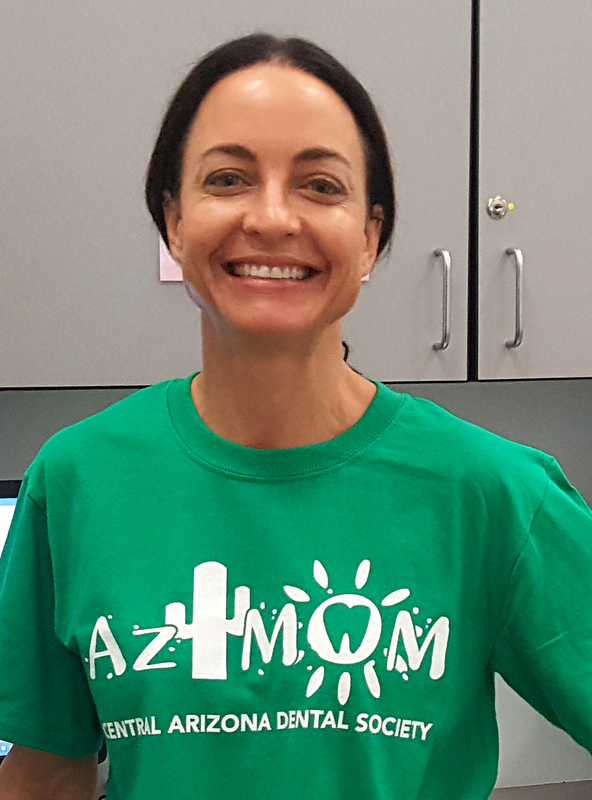 “It is absolutely critical to my overall health,” said Hulett who was interviewed by ABC15 Arizona Reporter Jamie Warren. (watch the video now). 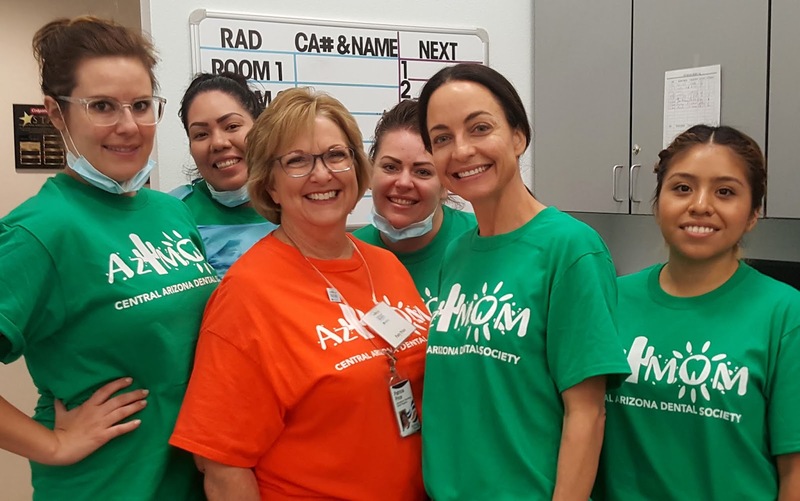 “This free clinic is a great way for us to get real-life practical learning experience-- while giving back to our community,” said Rio Salado Dental Hygiene student Christina Pflumm who was among the 20 Rio Salado students who volunteered at the clinic. “Community service is a core principle at Rio Salado College-- and a requirement for dental hygiene students, who volunteer at least 40 hours of service during their program of study,” said Rio Salado Dental Programs Instructional Services Supervisor Patty Price, a long-time CADSF volunteer who helped to organize the event. Check out other event photos on our Facebook page. The Rio Salado Dental Hygiene clinic is open to the public all year long-- providing comprehensive services at affordable rates. For more information call 480-377-4100 or visit riosalado.edu/dentalclinic for more details.